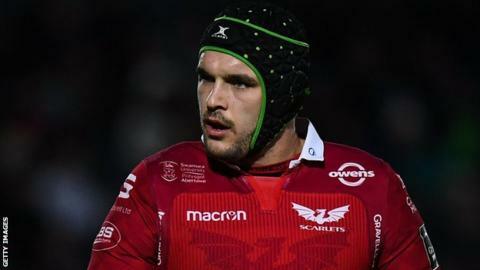 Exeter Chiefs have signed Scarlets lock Tom Price for the 2019-20 season. The 26-year-old, director of rugby Rob Baxter's third new recruit for next season, has agreed a two-year contract with the Premiership leaders. Price joined Scarlets from Leicester Tigers in 2015 and has so far made 56 appearances for the Welsh side, scoring three tries. "Exeter are a great club and a quality side and they've proved that now for a number of years," he said. "They are one of the best sides in England and in Europe, so I'm looking forward to getting down there and being part of it all. Baxter added: "I'm confident Tom will come here, work hard and buy into the things we ask him to do, and that will give him a great opportunity to play.